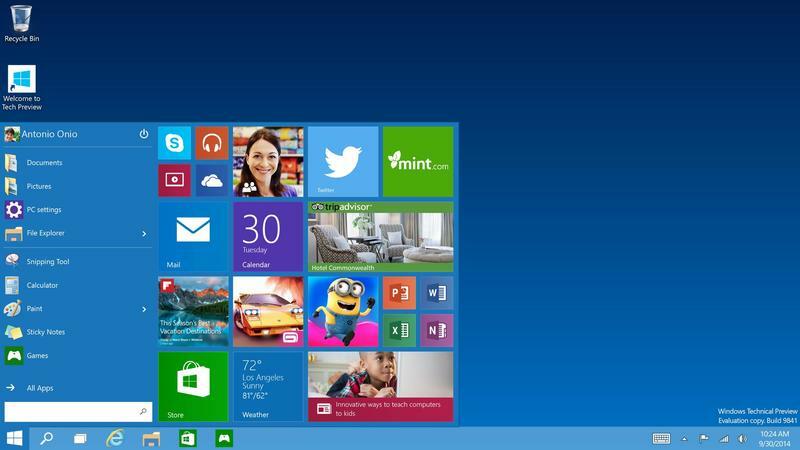 Microsoft just unveiled its next operating system, which it has decided to call Windows 10 instead of Windows 9. According to The Verge, Microsoft designed the new operating system to run on the “broadest types of devices ever,” which suggests it will unify the tablet, desktop, laptop and mobile experiences in some fashion. 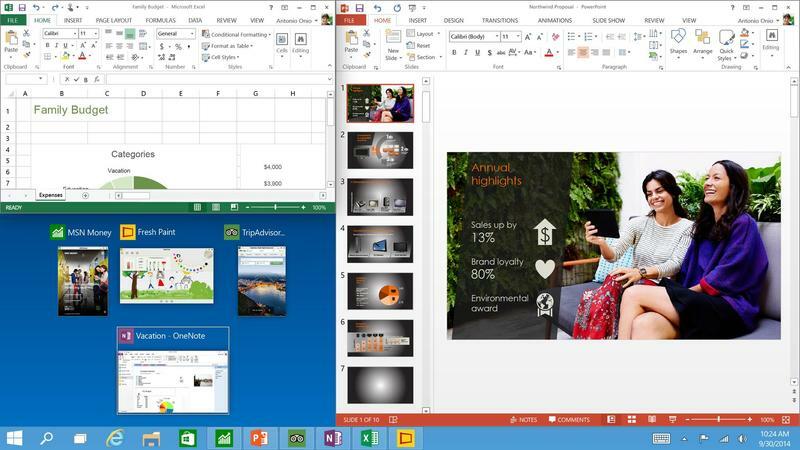 Windows 10 will offer one application store that can be used to purchase apps across all platforms. 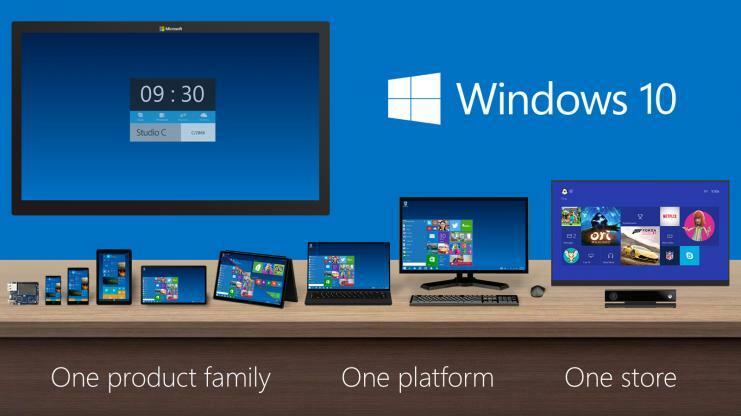 Microsoft says there’s “one product family,” “one platform” and “one store” for Windows 10 devices. Since it’s an operating system build around all types of devices, Microsoft is taking the opportunity to specifically target the enterprise market, where companies can deploy not just a phone, but perhaps another device like a laptop or tablet, out in the field to employees. IT managers will be able to manage all of the devices from one place. Consumers and enterprise customers can also rejoice in this fact: Windows 10 will indeed offer the Start menu again, which is a feature Microsoft removed in Windows 8 and has promised will return. The Start menu will provide quick access to your programs, the option to restart and shutdown and pinned applications. “It gives the familiarity of Windows 7 with some of the elements of Windows 8,” Microsoft said of Windows 10 and its new start menu, according to The Verge. Users can pin applications like the calendar, Microsoft Office Suite, a live weather panel Live Tile and more – really, it appears to offer anything that was capable of being pinned to the Modern UI in Windows 8. Also, like Windows 8 and Windows Phone 8, users will be able to tweak the size of the tiles presented in the Start menu. 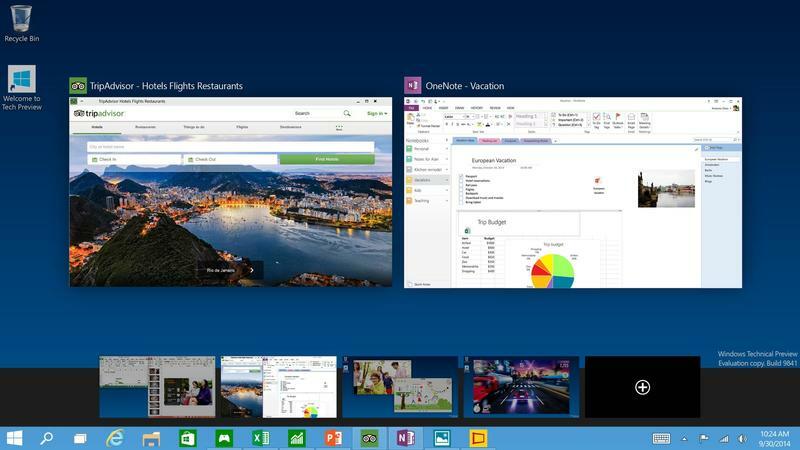 Also, like on Windows Phone, the Start menu will offer a universal search function. 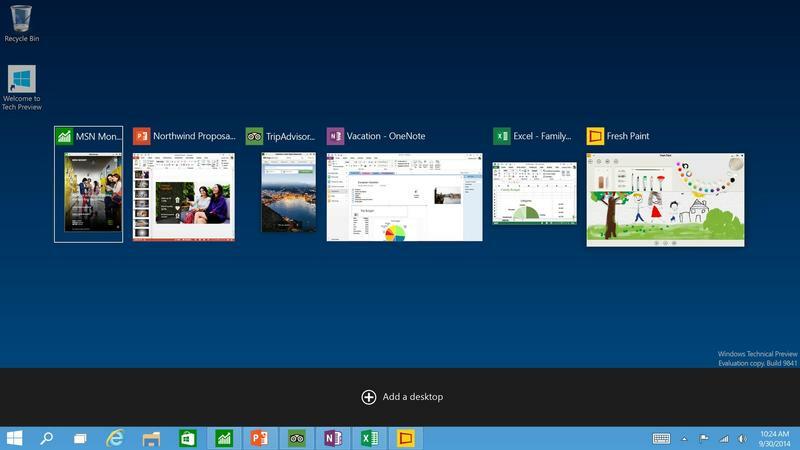 To make it easier to switch quickly between applications, Microsoft also will include the snap-menu function found in earlier versions of the operating system so that two applications can easily run side-by-side, whether a modern app or not, and users will have better control of all open applications with a new task view option that quickly shows all open programs in one space. Users can have several desktops running at once, a feature that’s also available in OS X. You can also access this view in addition to the “Charms bar,” which was rumored to disappear from this version of Windows, by swiping from the side of the screen on a touch-enabled device. Speaking of touch, Microsoft has a “continuum” feature for two-in-one devices, ones that might serve as a tablet and also as a laptop with a keyboard and mouse, that allows the operating system to adjust based on whether a user is taking advantage of touch input or using the keyboard and mouse instead. Want to try it out? Microsoft has a Windows Insider Program that kicks off tomorrow where interested parties will be able to download the Windows Technical Preview from http://preview.windows.com. The full version is set to launch to the public in late 2015.